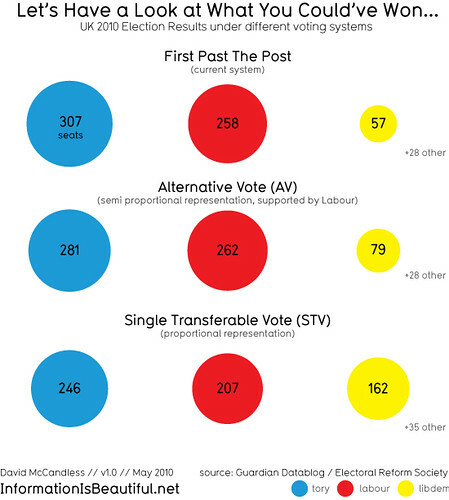 Why do some parties think repealing human-rights legislation is a vote winner? English Democrats: putting England back into the Dark Ages! Leafy Twickenham is all aquiet as volcanic ash has cleared Heathrow’s flight path. Political banners are beginning to bristle from box hedges, although most of them proclaim the incumbent Vince Cable as the choice vote. When it comes to human rights, the fundamental underpinning of liberal democracy, the Liberal Democrats and the Green Party have a consistently positive track record (although neither party has been in a position where they have had to live with the consequences of their stance). Labour are often thought of having a poor record, yet, despite New Labour’s increasingly authoritarian approach, it introduced the Human Rights Act, the most comprehensive legislation on human rights in the UK (among many other things, the act totally abolished the death penalty in the UK, which was still available for certain military offenses). Conversely, the Tories have consistently challenged the act, and now wish to replace it with a watered down bill of rights. Categories: immigration, society | Tags: assylum, Bill of Rights, BNP, convention, Convention relating to the Status of Refugees, death penalty, democracy, English Democrats, Green Party, human rights, Human Rights Act, Labour, Labour Party, Lib Dems, liberal democracy, Liberal Democrats, refugees, Tories, Twickenham, Ukip, Vince Cable | Permalink. The Chilean government has so far confirmed that 795 people are confirmed dead following Saturday’s earthquake, and two million have been made homeless. More have been killed and made homeless by the following tsunami. However, our media coverage always gets round to talking about looting, just as it did in Haïti and New Orleans. Focusing on looting is demeaning to the people who are caught up in the crisis, many of whom have lost homes and livelihoods. If disaster should strike this leafy borough of West London, I would not expect orderly queues outside of Waitrose either. Looting is theft whatever the situation, but entirely forgiveable given this situation. However, in the city of Concepción, population 500,000, the Chilean army has deployed 7000 soldiers to prevent looting and protect property. It strikes me as a peculiar prioritisation to use military resources for property protection rather than humanitarian assistance. To underline the perverse decision to prioritise stuff over people, the army shot and killed a citizen two nights ago. Socialists often describe the military as primarily mobilised in defence of property rather than human life, and this is an example of such an abuse of state force under the guise of ‘rule of law’. Read David Osler’s article for more on this. Categories: socialism, society | Tags: army, Augusto Pinochet, Chile, class, David Osler, democracy, dictatorship, earthquake, Haïti, looting, Maggie Thatcher, media, military, mining, New Orleans, property, rule of law, Salvador Allende, Sebastián Piñera, Silvio Berlusconi, tsunami | Permalink. The hills are alive with the sound of adhan! This coming Sunday, 29 November, the citizens of the Swiss Confederation vote in referendum whether to ban the building of minarets. The referendum was constitutionally triggered by a successful public petition launched by the Schweizerische Volkspartei (SVP), a right-wing party with around 23% of the Swiss popular vote and the largest party in the Nationalrat. However, the ‘no’ vote is being urged by the three other main parties and the leaders of Christian, Jewish and Muslim groups across the country. A major plank of SVP domestic policy is a belief that the country is experiencing Überfremdung, and become ‘overly foreign’. Quite similar claims are trolleyed out by British tabloids on a regular basis, and it is now the general policy of the BNP, becoming that of Ukip and has some resonance in Tory rhetoric. The SVP’s public platform on Überfremdung won them a surge of votes and a new raft of seats in the Nationalrat in the general election two years ago. Categories: immigration, Islam, racism | Tags: BNP, constitution, democracy, Islam, minaret, mosque, participatory democracy, referendum, SVP, Switzerland, Ukip | Permalink.